Bruce Maggs is the Vice President of Research for Akamai Technologies. As such, he can share the exact point of view of a CDN operator. This is exactly what he did, while giving probably the most interesting talk in RESCOM 2013 (well hidden in the morning of the 4th day, some people missed it). Here, I share my notes. 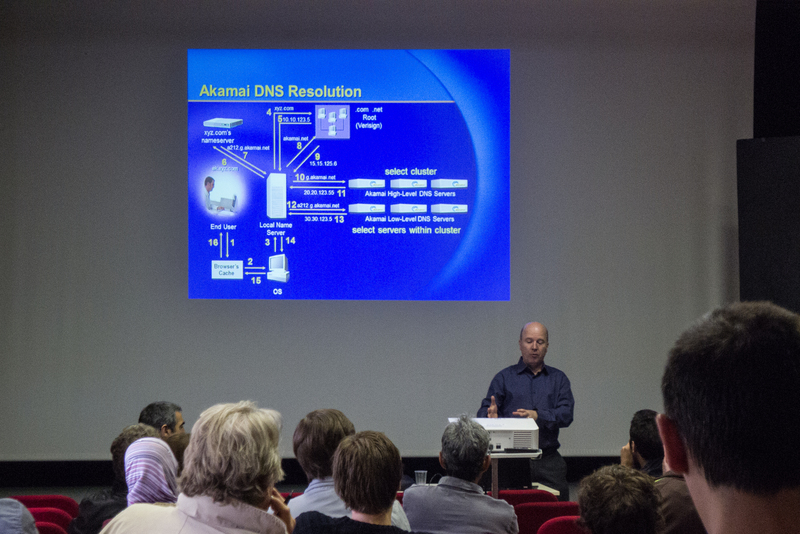 Akamai is present inside a military network, completely isolated from the outside Internet. Akamai could not get into AT&T network, even when AT&T’s own CDN was serving almost no traffic, just because they didn’t want to help competition. Akamai is IBM WebSphere compliant, but very few clients use it to generate dynamic content in it. Why build a fancy NOC? So you can show it off to customers and investors. And never let the folk in there touch anything important! Observed Zipf parameters are around 1 (0.95-1.05)! Conclusion: there is not much money to be had. Bandwidth component of the cost varies a lot by the user’s location. On average, over lifetime of a server, 40% cost is the upfront investment, 40% is bandwidth and 20% is power. You don’t make money on moving bits through Internet any more. Level 3 set the price of bandwidth so low, that Akamai is looking for a way to back off from providing Netflix. Netflix is also building their own backbone and CDN. Observed Zipf parameters are around 1!